Humans are social beings, and the devices we use to communicate are crucial accessories for our lives. Just consider the relationship you have with your phone. There’s likely a personalized case and interface settings, and without it you may feel naked—or worse, as if you’re missing a limb. It’s safe to say we are dependent on technology and have grown accustomed to the ability to communicate across vast distances in real time. This is true in our work lives as well as our personal ones. In the business technology space, we’ve observed and have participated in very rapid changes that continue to offer more and faster options, while also conserving resources. These innovations are not projected to let up, and that’s not surprising. What is surprising is how communication technology has gone full circle—what is old always becomes new again. Last year, digital media expert Gary Vaynerchuk predicted that voice technology would explode the communications market. Today, we want to explore the return to voice and unpack why we’re back to such a natural impulse to talk to each other. In this blog, we’ve assembled a very brief history of business communication technology to help our readers understand how we’ve landed in the current moment and where we can expect business communication to go from here. The 19th century marked the beginning of voice technology. Innovations like the telephone (1848) allowed people to talk across great distances. Then came the radio (1896), which marked the beginning of broadcast media and allowed keynote speakers to reach mass audiences. In the 20th century, people were introduced to the moving image. In 1927 came the first television. Video could vividly depict experiences, which connected masses to pop culture and current affairs like never before. Technology that connected several people at once became more and more prominent. In 1956, phone conferencing was invented, allowing boardrooms everywhere to connect to branches and clients across the world. A little over a decade later, email came along (1971), followed by the cell phone (1980), the Internet (1983), blogs and social networks (1997), then webinars and video conferencing (1998). All of this laid the foundation for the new millennia in which communication technology took sophisticated leaps that integrated and unified a wide range of options. At the beginning of the century, smartphones came on the scene (2001). 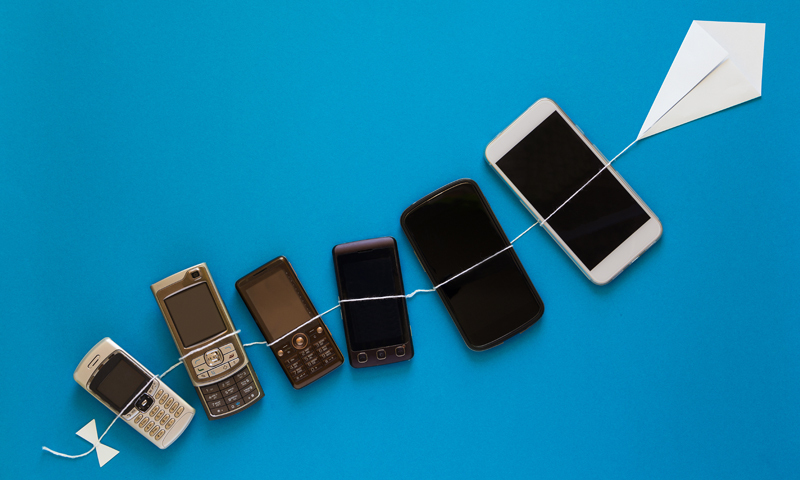 These devices gave almost instant access to the internet, email and more. Then came Facebook (2004), podcasts (2004), cloud computing (2007) and Siri (2011). What we think of as a “phone” is really a pocket-sized computer, television, music player, wallet and a lot more. What we think of as the Internet is evolving into our cars, appliances and many other places. We can tell Alexa to make a shopping list, or ask Siri how to get from point A to point B.
We’re seeing more and more in print about conversational intelligence. Google has made speech recognition a central focus for its growth. We’ll see the reemergence of voice in business, too, as workers move from email to video and phone conferencing options. In truth, so much is lost when communication takes place over email or text. The tone of someone’s voice can reveal their mood and intentions. The emergence of video conferencing shows that text has failed to be effective in meaningful collaborations. And, culturally, there seems to be a desire to be more connected than text can offer. We see this in Gen Z’s daily use of Snapchat. As we move swiftly from text to voice, it’s an important reminder to listen and be engaged in the conversations we have. Here at Select, we listen and offer custom-fit communication solutions for each of our clients. We’re excited for how the future of collaboration technology will connect us, streamline processes and support organizational growth. If you’re interested in seeing the current growth in the telecoms industry, check out this article published in Telecom Reseller by our very own Jason Price: Global Insights, Inc. Reports Significant Growth for the Unified Communications and Collaboration Market.